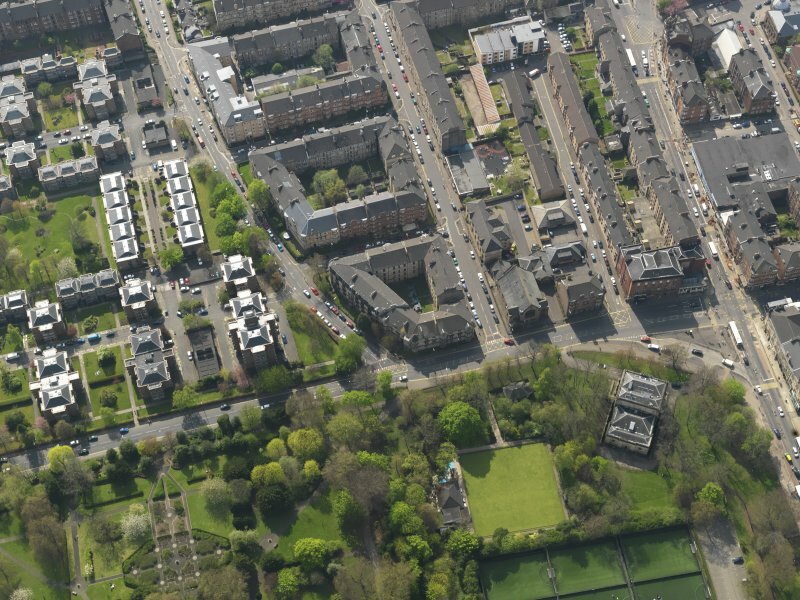 Oblique aerial view centred on the hall, taken from the NE. 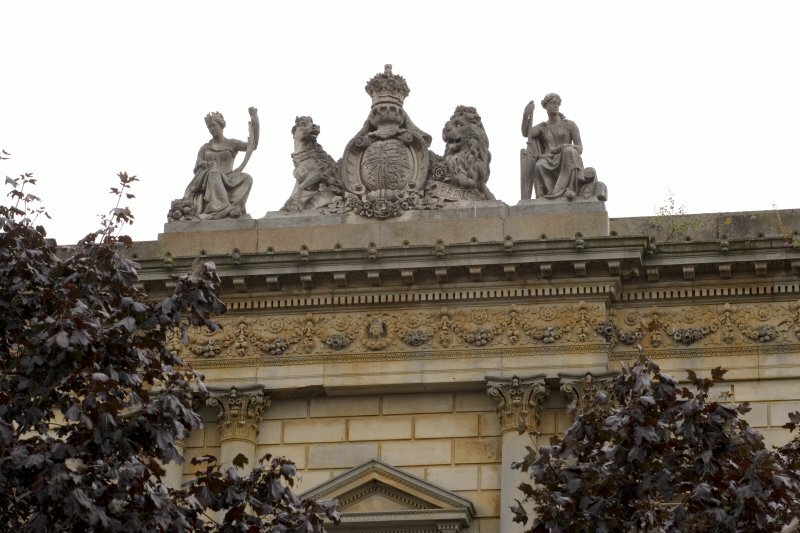 Rich Italian Renaissance palazzo, with swags, keystone faces, Royal Arms and allegorical figures sculpted by John Thomas of London, who had worked on the Houses of Parliament. 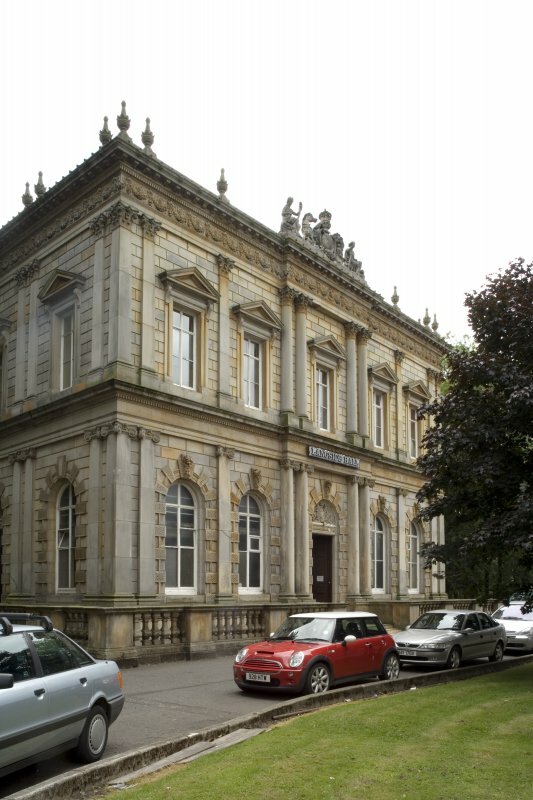 Originally the National Bank of Scotland at 57 Queen Street, where the Banking Hall was remodelled, 1856, James Salmon. Rebuilt in Langside Avenue, 1901, A B McDonald. Symmetrical two-storey over basement, rusticated front with Ionic pilasters at ground and Corinthian above. Balustrade protects basement area. 1901 interiors also by McDonald, who retained Salmon's banking hall. 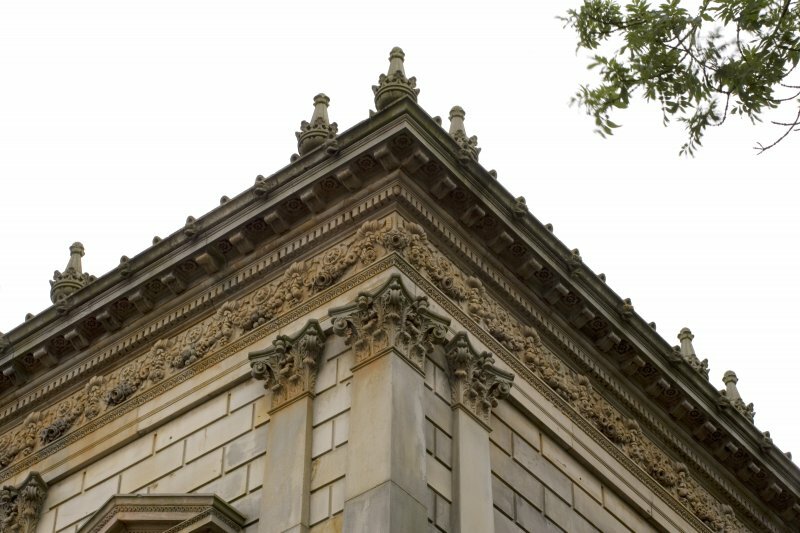 Glasgow, 1 Langside Avenue, Langside Public Halls. 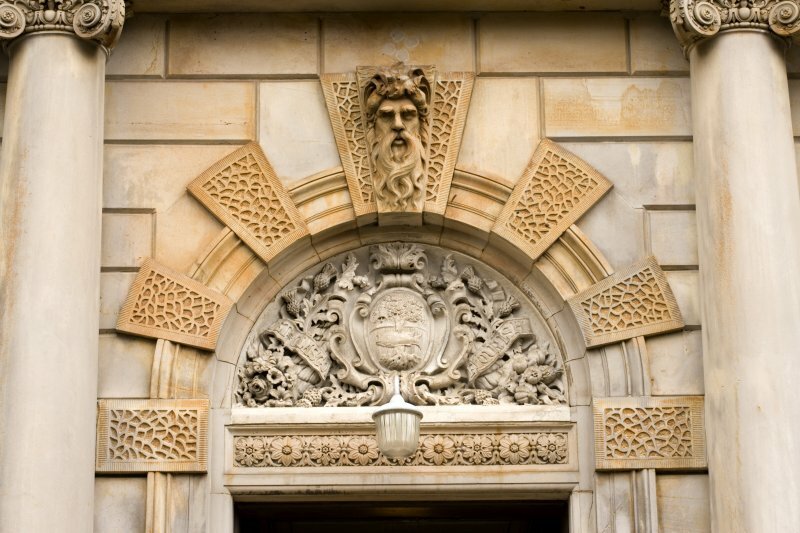 Originally the offices of the National Bank of Scotland at 57 Queen Street. Removed stone by stone and re-erected at 1 Langside Avenue, c. 1889.